Every April the Pennsylvania trail/mountain running community, joined by runners from nearly 25 states (and Canada) make the pilgrimage to Hyner Pa in Clinton County, our wilderness Mecca, to sacrifice their bodies upon the altar of the trail gods. On April 18th I returned for my third helping of "funishment." Each year my journey has been a little different (Race Reports: 2013, 2014). Two years ago Hyner was only my second, and as of yet most challenging mountain race. Winter training went well and yielded the fastest of my three Hyner finishes. 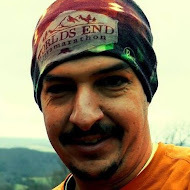 In 2014, with an autumn ultra under my belt, but near non existent training I had what I felt to be a more enjoyable race, albeit around 7 minutes slower. Coming into the 2015 race I had a stellar winter of training, having logged nearly 800 miles on my feet in two and a half months. I must have been feeling too confident, as three weeks before race-day the universe knocked me down a peg - an ankle sprain during race #1 of the Central Pa. 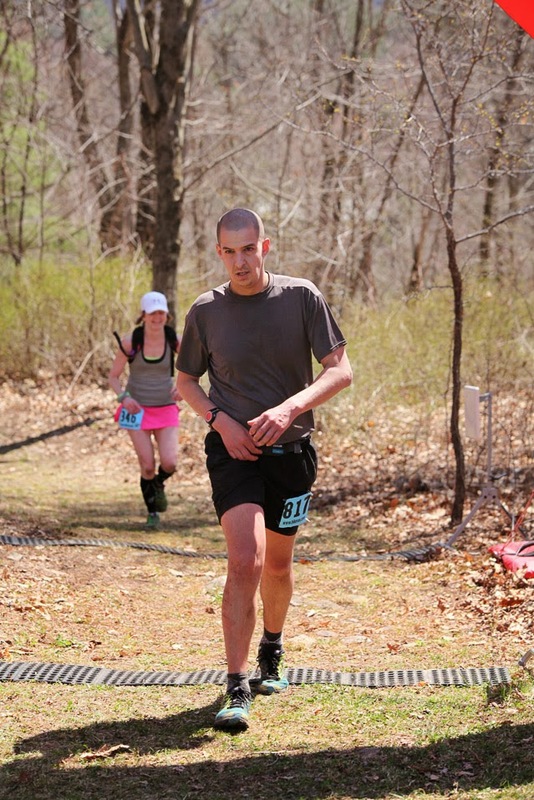 Trail Runner Trophy Series (Race Report). After the ankle sprain I spent two weeks off the trails - icing the foot, soaking it in Epsom salts, elevating it, and wrapping it with compression during the work day. Seven days out from Hyner, and still a little swollen, but mostly pain free, I started putting some easy road miles on it with my friends from the Penn-York Valley Running Club. I felt understandably rusty and lethargic from the downtime, and without my daily dose of endorphin's i'd been having trouble sleeping, which certainly doesn't help right before a good race. I finally did do one short trail run on the Thursday before the race. The ankle held up for 4 miles, but it was still a big question mark for Saturday morning. Would it hold up to the steep climbs, slippery stream beds and crushing technical downhills? I caught a ride to Hyner on Saturday morning with local running buddies Paul Haiges and Jason Henry. 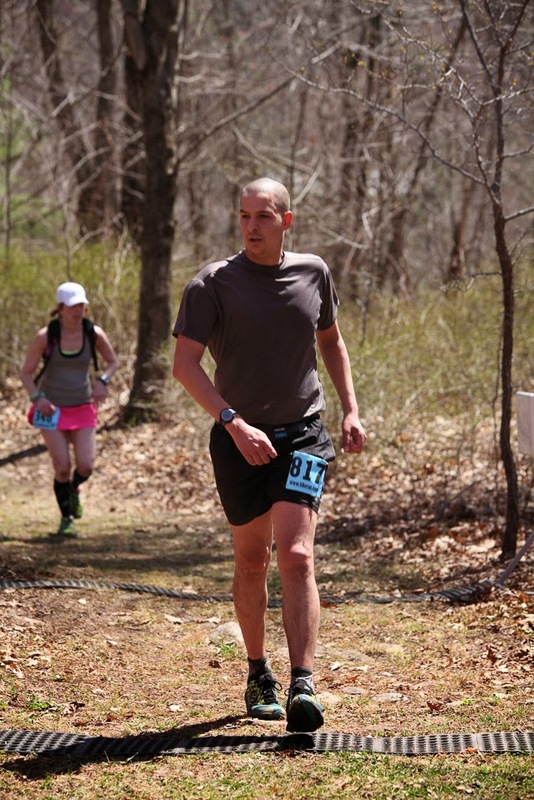 Jason was returning for his second Hyner 25k. Paul was taking his first crack at the course. The trail running contingent from Bradford County accepting the Hyner Challenge seems to grow yearly. My amended (post-injury) race strategy was pretty simple; make a mad dash for the bottle-neck of cliff hanger trail, and then let my ankle and fitness level dictate the other 15 miles. I excel at blowing the start at Hyner. At Hyner up to 1,200 people pack themselves on to the dirt road / drive way of the Western Clinton Sportsmen's Association club house, charge down the hill, turn left onto Route 120 across the river bridge, and then right at the end of the bridge along straight stretch of asphalt to a bottle neck at the beginning of the cliff hanger trail. The biggest issue is that everybody knows about the bottle neck which awaits them, so everybody (regardless of their actual race pace) tries to get out hard. When the gun goes off runners swarm ahead on either side of the road, and those actually standing on the road end up standing still waiting for the throbbing blob of humanity to start rolling downhill. It was slow going from the club house to to the bridge for me, followed by 5k race pace from the bridge to the trail. Easily, I must have passed more than 100 runners before reaching cliff hanger, and still found myself grouped up with many who would be moving more leisurely through their day. If you'd like a blow by blow description of the course, which I'll spare you here, you can check out previous race reports (Race Reports: 2013, 2014). All things considered, i'd say that my race went well. My left ankle was never a factor. I took my time on the climbs, and was able to absolutely bomb the long downhills. 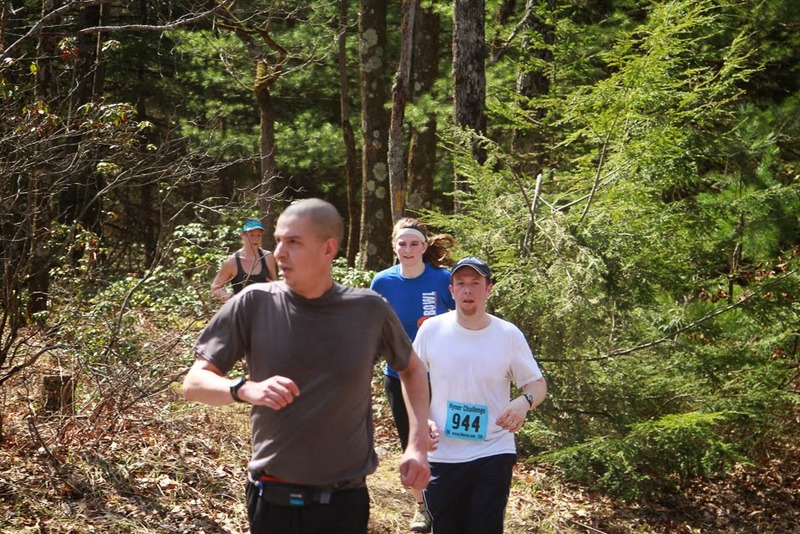 My downhill running was the most improved part of my race over previous years. On the first two big downhills I went into quad-crushing kamikaze mode and was able to make lots of passes, though on the final downhill I tumbled off the trail on a turn and tweaked my right ankle (that would be my good ankle). In the process one of my quads seized up, though luckily I was able to loosen it up as I continued down toward the road. The other key factor for the day was the heat. During the race the temperature rose to 75 - 80 degrees, something we haven't seem very much here in Pennsylvania so far this year. Stream crossings in Johnson's Run, as well as the water hose at the aid station atop S.O.B were lifesavers. The temperature was significantly cooler in 2013 and 2014. The positive side of a warm day is that it improves the atmosphere at Hyner's legendary finish line party. With no cold wind or rain to deal with, everybody is more relaxed and willing to hang out eating, drinking, and of course cheering the approximately 1,400 25k and 50k participants. 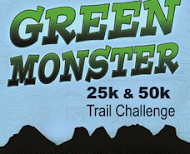 If you haven't run The Hyner View Trail Challenge before, what are you waiting for?